Relax. Re-connect. Refresh. Restore. Re-invigorate. 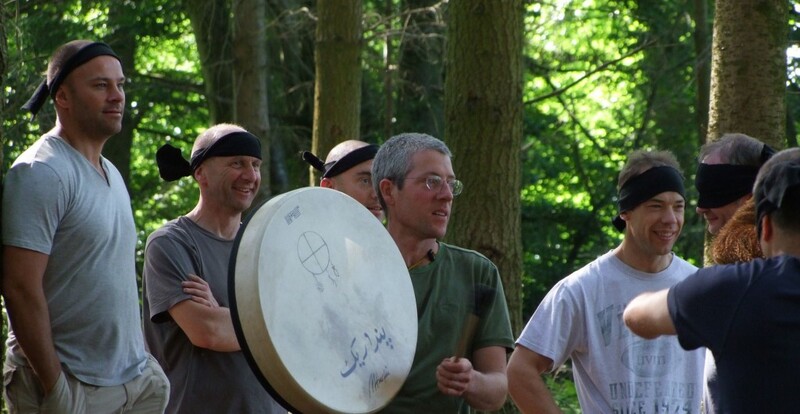 Corporate away days, natural leadership and team building events – create the perfect mix of foraging, bushcraft, land art, games, challenges, presentations and storytelling to bring out the best in your staff for your business. When people are deeply connected to themselves, each other and nature it is becomes natural for them to do their best in a work setting. Wholeland helps put a love for our selves and our world back into businesses big and small, sheds light on connections to natural resources cycles and uses successful natural design to inspire and create regenerative business practice. Tending the children’s fires – explore ways to live sustainably in the moment through woodland camping and quest for regenerative community, through story and environmental art, with the children of the future in mind. In beautiful East Devon or at the stunning Westley Farm in Gloucestershire, at your favourite wild location, at Escot Park near Honiton, along the River Otter, Overnight in five star yurts in Devon and Glos, bivvis in the woods, or even up on Dartmoor, Chris will tailor a memorable event in Nature, re-connecting with your colleagues and the land we are all part of. 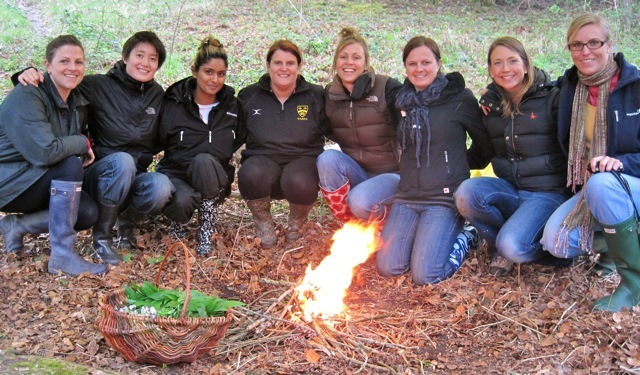 Nature connection – A cunning mixture of bushcraft, environmental art, and nature awareness activities. “Nature Connection comes naturally to everyone. 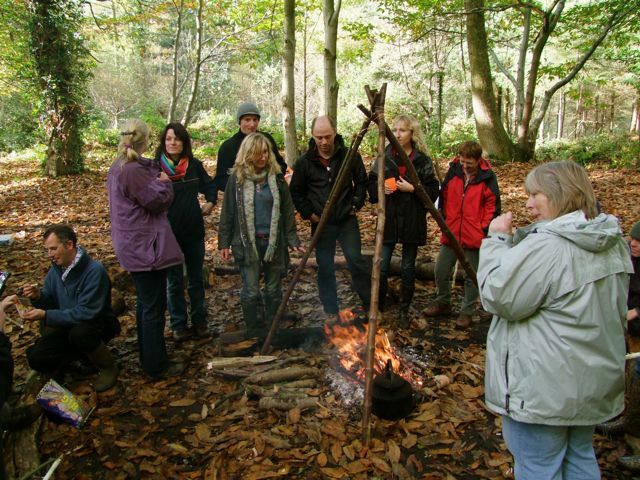 The mixture of bushcraft skills, environmental art and nature awareness games cover such a huge field of knowledge, beneficial activity and traditional craft. There will always be something for everyone to shine at. There is huge scope for reviewing, teamwork and spending quality time together doing something new, and having a laugh while your at it. 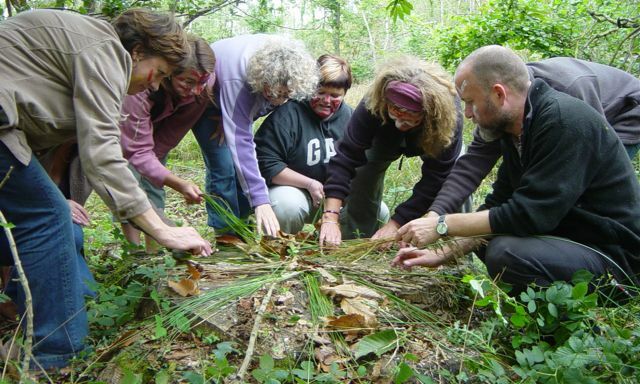 To date most people want shelter building, wild-fire making and foraging days out…I would love the opportunity to try something new myself, like organizing a coppicing and basket making away day, or even a tracking away day. Try me out, I am sure you will not be disappointed.” says Chris Holland Lovely local food and drinks provided, to keep food miles down and you nourished with something from the land you live on. 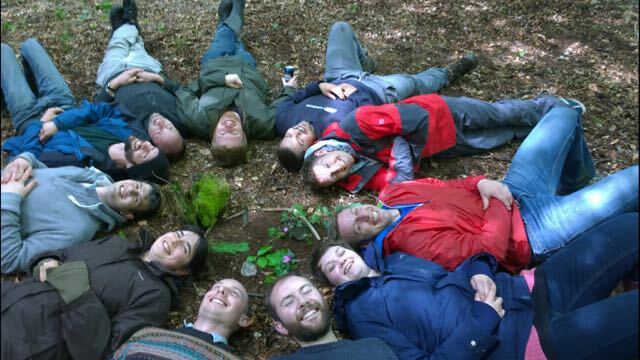 South West Water bushcraft away day with wholeland at Otterton Mill from chris holland on Vimeo. For another short video about foraging with Chris, click here: http://youtu.be/kOv8Bpa5crA Simple, delicious, locally sourced food is provided to compliment an array of bushcraft, environmental art and natural awareness activities designed to inspire your team, build team and group energy and raise the spirit and delivery of your service (for the greater good of all of course!). 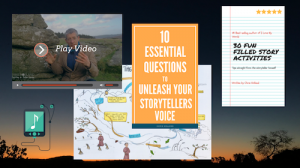 You might find things get a bit tribal, challenging and focused: But there is always quality time so spend chatting with colleagues around the fire while the kettle boils (oh no, not nettle tea again! ): Muir trek away days. As of October 2008, Chris is also qualified to lead Muir Treks. “I only went out for a walk and finally concluded to stay out till sundown, for going out, I found, was really going in.” – John Muir The Muir Trek is a sunrise to sunset journey through a natural wild place no one knows, inspired by explorer, Sierra Club founder and ‘father’ of the National Park movement, John Muir. Muir would head into the wilds of nature seeking only the richness of the day rather than set a destination. The Muir trek emphasises the Muir-inspired qualities of zest, celebration, joy and adventure in the natural world. However the focus of the Muir Trek is on the individual in the natural world – not the group. Group bonding is not emphasised on a Muir trek. Instead, the day is accented with leader inputs which help the participants explore their own perceptions and experiences in nature, which are shared in an informal way with the group. The Muir Trek begins shortly before sunrise as the leader and 8 to 11 participants set off to explore the essence of a wild place close to hand. Carrying all they need with them – water, a bit of food, proper clothing – they take the time to explore a small part of our planet. Rather than seeking a destination or being challenged by nature, the Muir Trek moves deliberately with the day. The goal is an internal one, to be conscious and joyful in being outdoors, in direct contact with the earth. There is time to sit and watch and reflect on the natural world, and to saunter and wander over relatively short distances. Click here for more details on Muir Treks. Prices from £80-100 per person for day events. Concessions are made for voluntary and charity organisations so phone up if you want to haggle.